Showdown is a compilation of "the best" of ELO's first three albums with the focus strongly on their first two. 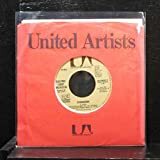 Indeed, it contains four tracks from No Answer, three tracks from ELO II and only one from On the Third Day, that being Showdown, one of ELO's most famous hits. Because its focus is primarily on their first two albums, this is more or less a "greatest prog rock songs" compilation of the band. 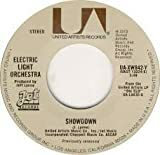 Showdown was released in 1974, long before ELO would transform itself into a hit-making pop machine fizzing with bubbles. In my opinion, the two most progressive tracks on this album are In Old England Town (one of ELO's darkest songs ever made) and From the Sun to the World (with its majestic, yet simple Moog passages). It also includes the classic 10538 Overture, the song that started off the entire ELO project. 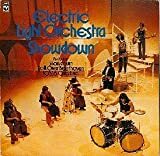 Even though Jeff Lynne was in control of ELO by the time this compilation was released, two Roy Wood tracks appear on it (Whisper in the Night and First Movement (Jumpin Biz)). As far as I know, this LP has never been released on CD, so it's only worth seeking out if you're an ELO completionist because all of the songs are already available on their first three albums which are quite easy to find. Even though this would be something only a collector would be interested in, musically it deserves four stars because it contains some of the best progressive rock ELO ever made (with the exception of Kuiama which wouldn't fit on this LP, but would if it were a CD). The first ELO compilation covers only their first two albums (with the exception of "Showdown" from "On The Third Day"). Even if most of the tracks are very good, I would not recommend the purchase of this record. One of the best track of their wonderful ELO II is missing ("Kuiama").Wait for later compilations or just buy ELO II. Still, three stars for the track list featured here. A long time ago I was really interested in the pre-Out of the Blue period of ELO and I used to pick up anything I could find from this period in used record stores. 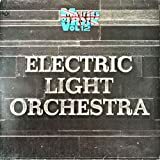 This was one of the items I found, a "best of" compilation of music from ELO's first three albums. There really wasn't any reason to get this since all of these songs were easily available on their respective studio albums. It will probably never be reissued on CD for the same reason. Whether this is really the best stuff from ELO is debatable. I think Harvest was probably interested in taking advantage of the success the band had up to that time and decided it could use a little more money. Of the eight songs, only half of them could be considered "best" in terms of ELO's progressive rock output. Three of them were charted singles, either in the UK or US. Missing of course are Kuiama, some of the more experimental pieces off their debut album, and most of the best stuff off of On the Third Day. Still, it's a nice introductory selection. But as I mentioned, this album is long out-of-print and these songs are all available on their respective studio albums. Chiefly for collectors and ELO completionists, but I'll still give it three stars because it's a fairly good selection. 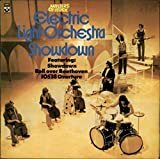 Post a review of ELECTRIC LIGHT ORCHESTRA "Showdown"